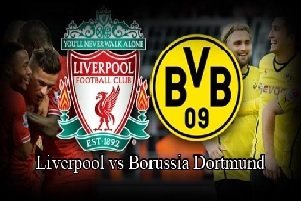 Liverpool will face Borussia Dortmund in Europe League on Thursday. The first leg between these two ended 1-1. Both teams were equally good in the first game. Liverpool developed the ability to draw away from home and defeat the same opponent at Anfield. That is what I am expecting from them tomorrow. They are undefeated at home in this tournament in the last 10 games, while they never failed to score . Dortmund is not so good away from Westfalenstadion. They have lost against Krasnodar by 1-0. Against the poor team of FC Porto, they hardly scored a single goal ( own goal ). Last two games between those two teams at Anfield ended with aggregate 6-0. Jurgen Klopp knows Dortmund very very well and will be able to break them once again.